Cross Point Volleyball Club was founded on the principle of developing an individual female athlete through positive competition. Volleyball provides an opportunity where character can be displayed, leaders can develop and young women can thrive. Working individually and collectively towards a common goal will enhance the total athletes experience. Sand Volleyball, aka Beach (for us Californians), season had opened! Get in the game! One of the fastest growing sports in the country is Sand Volleyball. New colleges are adding it to their Varsity team sports every year. This game is a two-man or women game. Each player must be able to pass, set and hit for the team success. What a great way to make your indoor game better! Play Sand Volleyball. Training on the sand has proven to help you jump higher, run faster and increase your volleyball IQ. Get in the game! Contact Rochelle sand clinic days and times. Noah Marcinkowski Commits to Adrian College!! 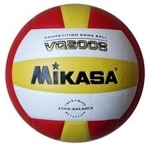 Cross Point Volleyball club is always looking for quality people and coaches to join their staff. If you are interested in working with young athletes and you have a passion for the sport of volleyball. CP is a faith based company, who focuses on teaching and learning in a positive effective environment. Please inquire with Rochelle at 619.851.4660.